it didn’t seem right to show Kate & Theo in front of Simon’s painting, without showing the whole painting, and its rebel rebel indie . . cry. 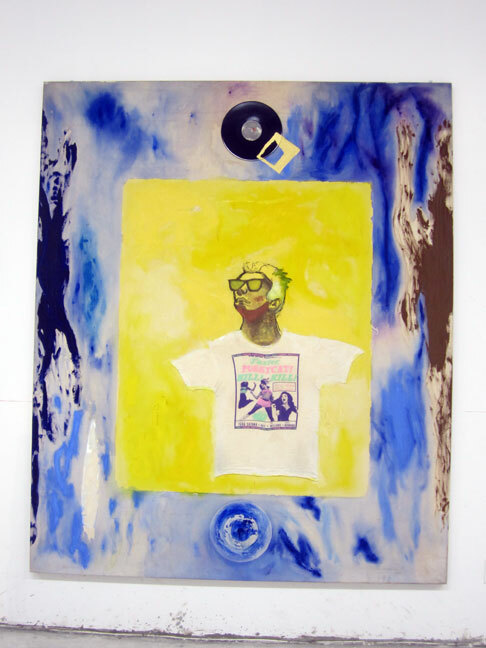 SIMON CERIGO, acrylic paint, t-shirt and found ‘vinyl’ on stretched canvas. 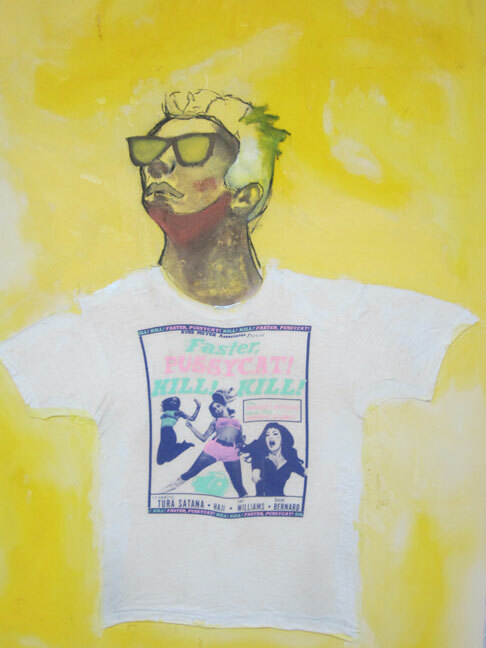 6 x 7 ft.
the t-shirt says: FASTER. PUSSYCAT! KILL! KILL! talk about ‘growing up’ under . . the volcano. well, now you know where they got . . their ‘moxie’. great portrait. 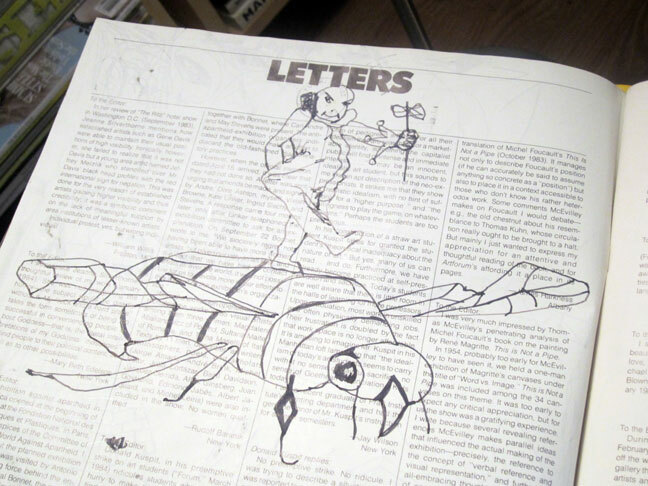 Simon was also heavily into comic book art. looking at SIMON CERIGO, small collage with white acrylic paint on stretched canvas. 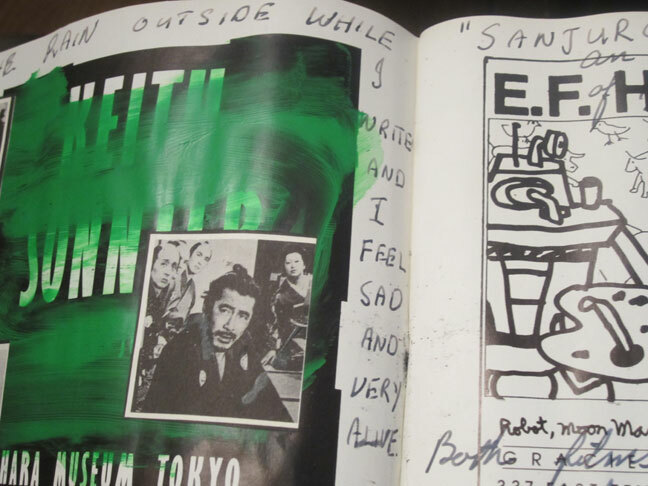 Simon was into comic book art, Japanese art of all periods, and of course contemporary art, but esp heavy on the big and not so big, German artists of the 80s and 90s. 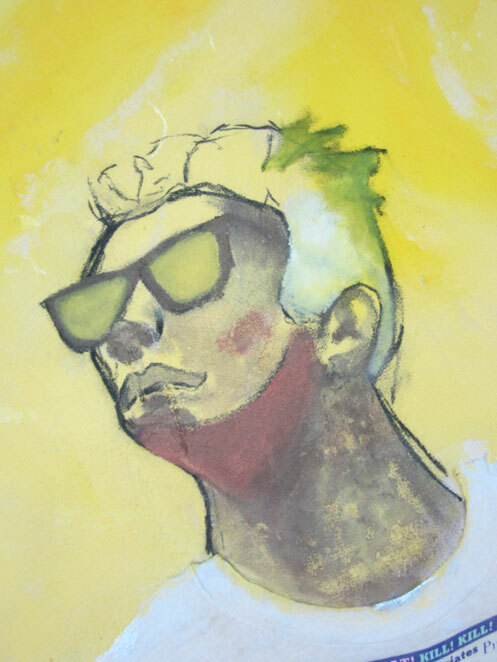 MARTIN KIPPENBERGER was a big big influence. SIMON was a storyteller, but more along the lines of an observer, and an . . archivist. 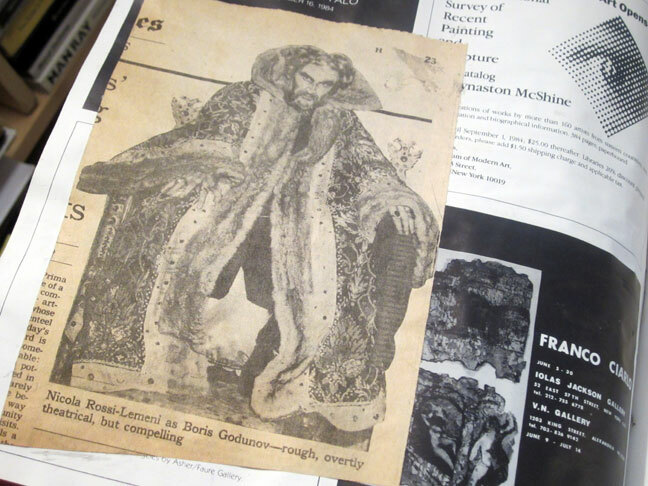 we have boxes of his ripped, now vintage indie music flyers, posters and art show cards, in particular he liked to rip old flyers – off the street. 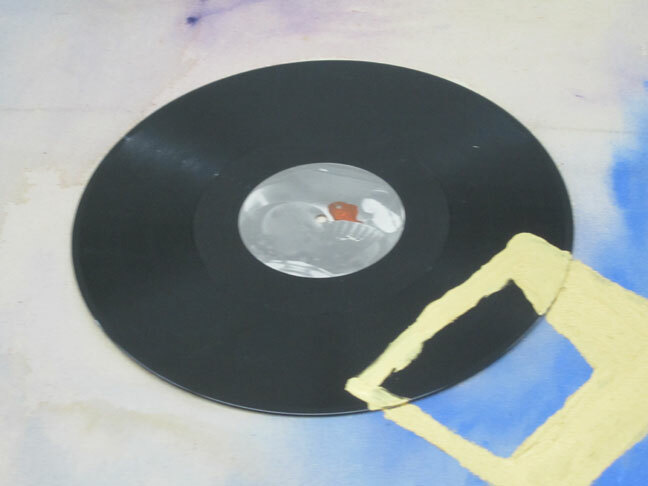 he liked to put the music, and the art – that was happening, back to back. or side by side. literally. nobody but nobody on the art scene knew the indie music scene as well as he did. 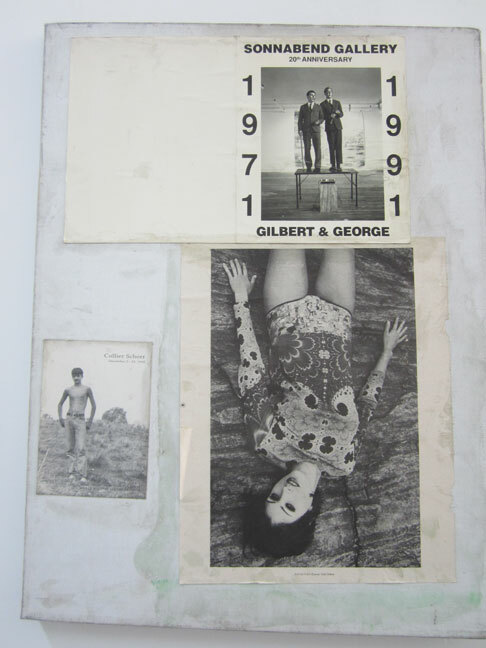 SIMON CERIGO, detail top, exhibit card: GILBERT & GEORGE 1971-1991. Simon was into ‘distressed’ – way before it was the norm. 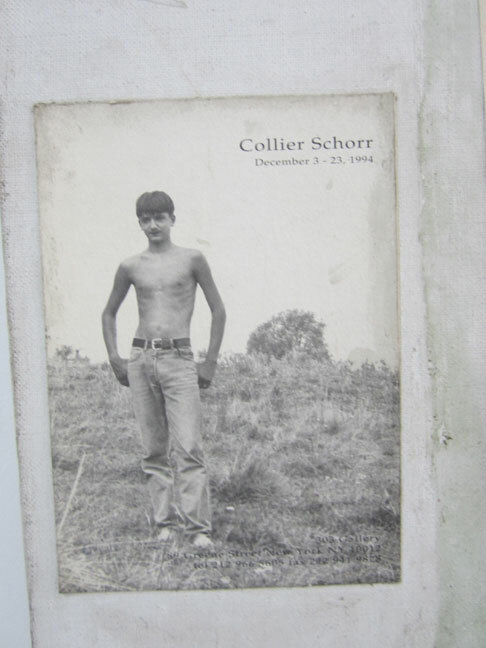 SIMON CERIGO, exhibit card: COLLIER SCHORR, DECEMBER 3-23, 1994. 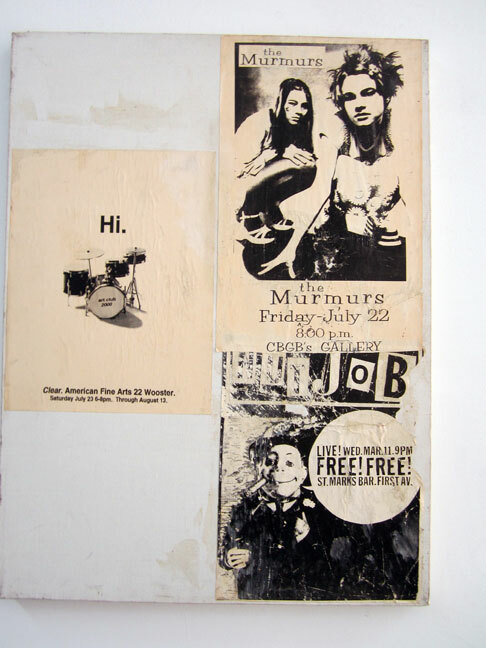 SIMON CERIGO, this small painted collage on stretched canvas, approx 1-1/2 x 2 ft . . used to hang in Collin DeLand’s AMERICAN FINE ARTS gallery office, forever. Collin loved it. and even though, ART CLUB 2000 included Simon’s work in one of their early group shows, Collin never thought to look at, let alone . . . show any other of Simon’s work – and that was Simon’s life / career arc . . . in a nutshell. 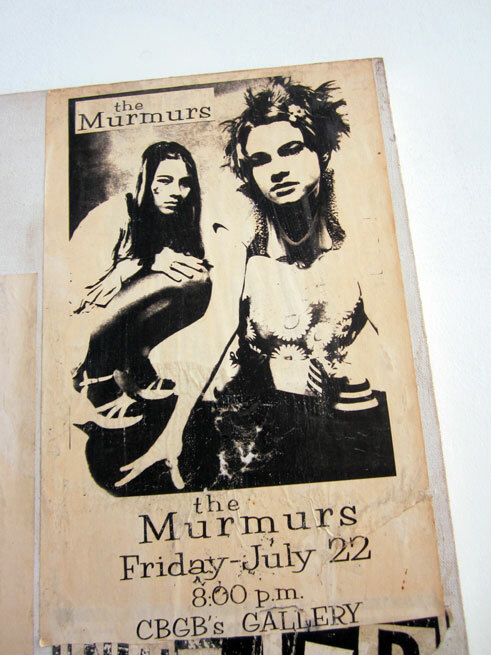 SIMON CERIGO, detail, THE MURMURS . . at CBGB’s. SIMON CERIGO, detail. HI. 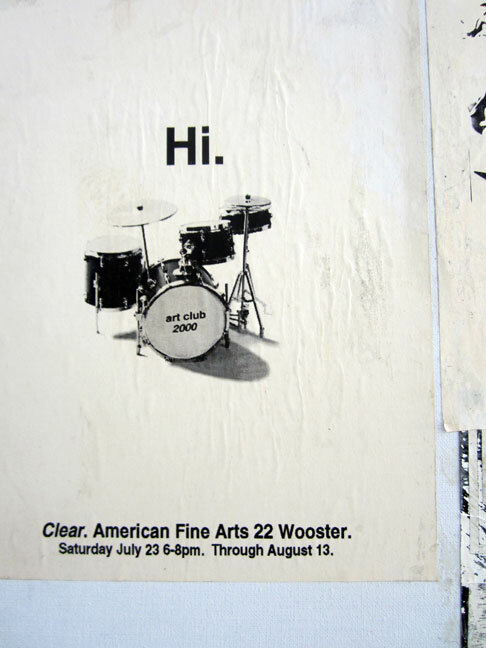 ART CLUB 2000. CLEAR. AMERICAN FINE ARTS 22 WOOSTER. SATURDAY JULY 23 6-8 PM THROUGH AUGUST 13. Simon wasn’t prolific in his art making – although he was prolific in his collecting .. !! 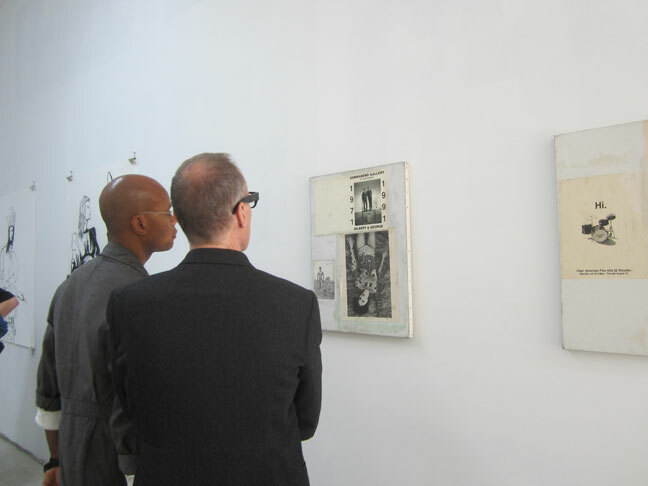 he only made a few of those small, white paint / collage canvases. he called the series: ‘The Big Sadness’. 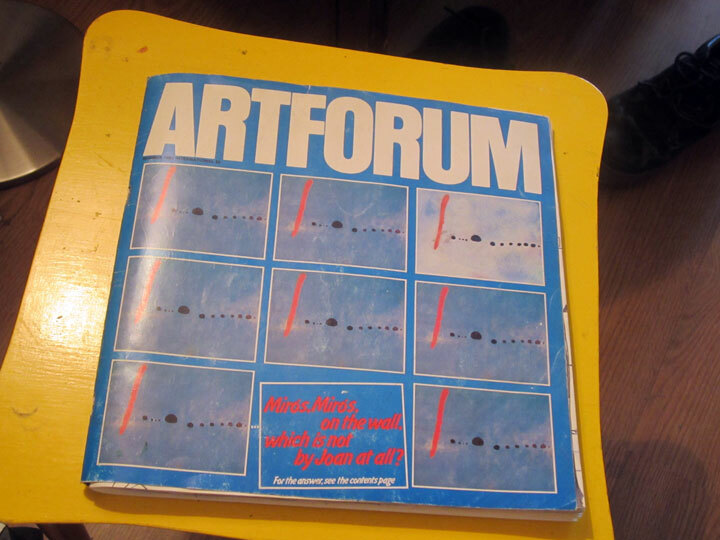 he also used this ARTFORUM, SUMMER 1984 – as a journal, scribbling down thoughts, and drawing in it. he only did this once. 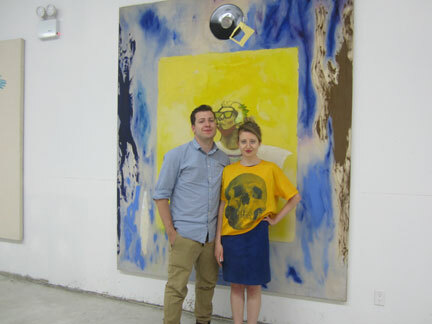 with this one Artforum, so we have kept it close at hand. 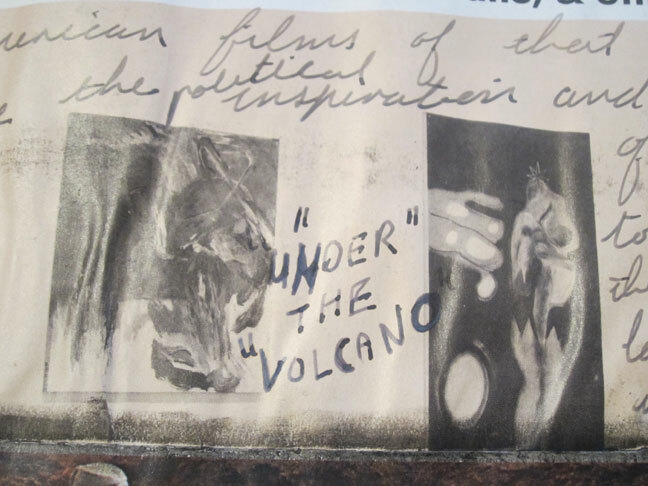 it’s where Kate found his scribble: ‘Under the Volcano’. the movie must have just come out, and the phrase stuck with her, and became the title of the show, the metaphor for the times. what’s so funny – is !! 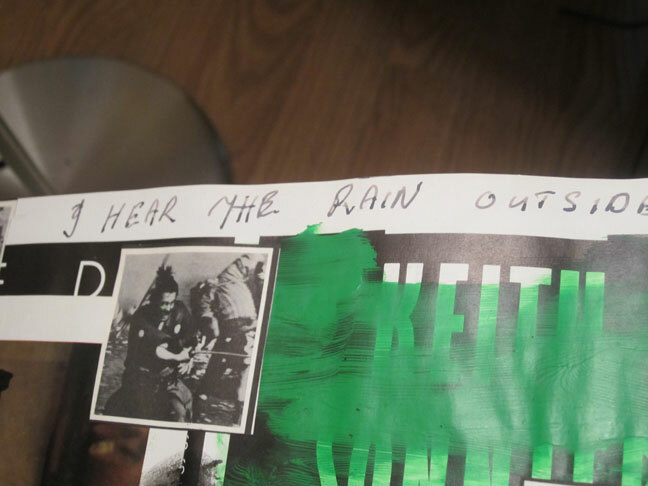 me and Theo were just watching a re-run of ‘HOLLYWOOD COP’ with EDDIE MURPHY, on TV last week, and the villain, who is also a sleazy, slick wannabe high-end art dealer, holds up this very same Artforum !! it’s very distinctive . . with that blue and orange grid – we almost fell off our chairs !! 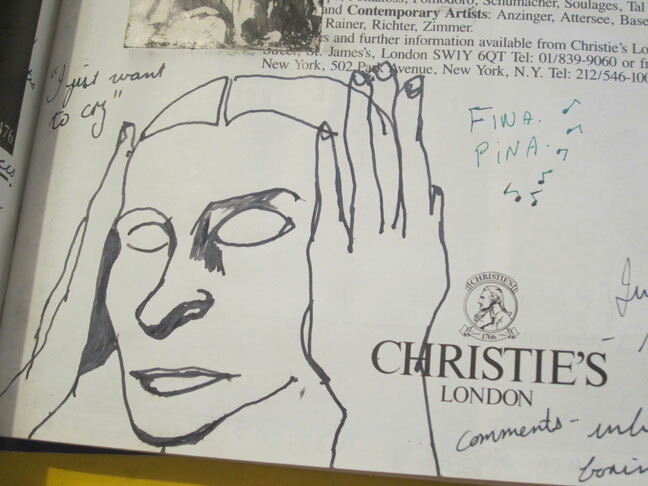 from Simon’s Artforum journal . 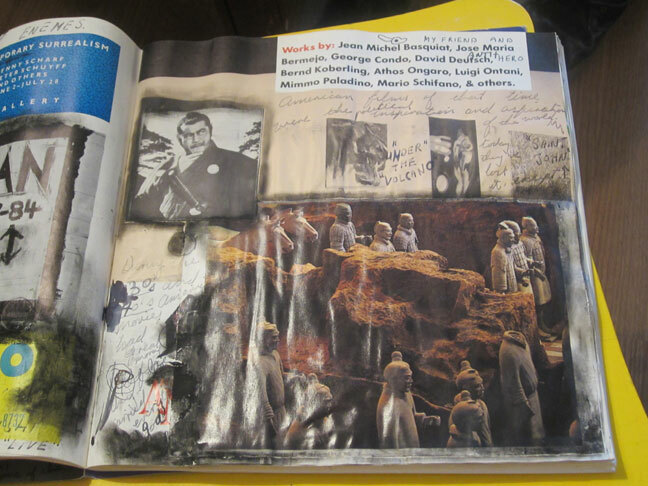 . .
the reference to the movie is at the top of this page. SIMON CERIGO, Game of Thrones, or what ?!! SIMON CERIGO, ‘I Just want to cry’ – the classic, ‘tears of the clown’. 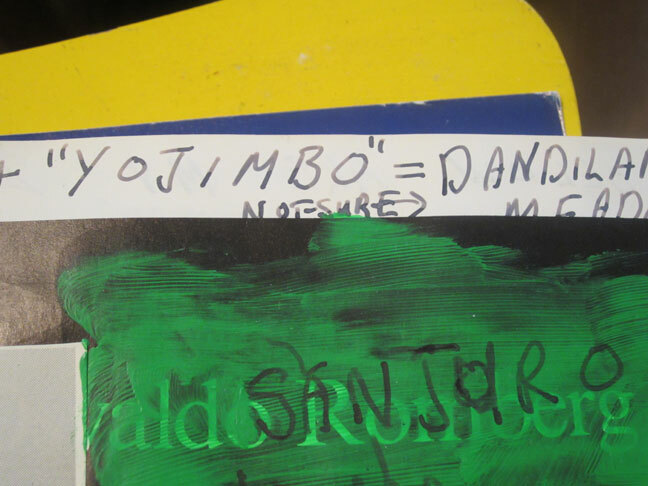 ‘Yojimbo’ – Simon loved nothing better than . . Japanese Samurai movies. 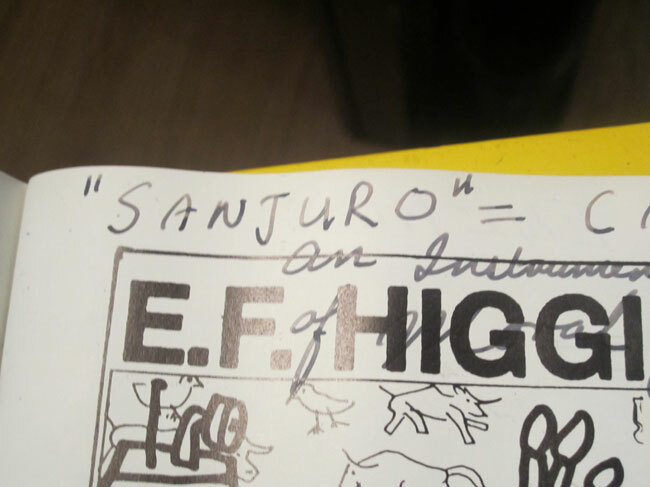 we all 3 – loved Japanese art, Japanese films, me and Dan, too. we all 3 fought hard, to make our art in life, and to survive – making that art. we weren’t exactly careerists, we were . . indie artists – to the end. there was no dealer who we could totally relate to, or . . more importantly, or maybe the same / no diff . . . who ‘got’ us. we were classic ‘outsiders’, so far inside, that we flew right off . . the grid. right over everybody’s . . heads.